Discover the tropical island, its rich heritage and culture. Life is too short not to live in Mauritius. Become owner of a residence in Mauritius. You’ve certainly heard about Heritage Bel Ombre. It’s time to discover and live it out first-hand! This sprawling estate in the South of Mauritius will blow you away with its stunning landscapes and flurry of activities. Here are 4 ways to discover Heritage Bel Ombre and feel its unique vibe. All you need to do is take your pick! 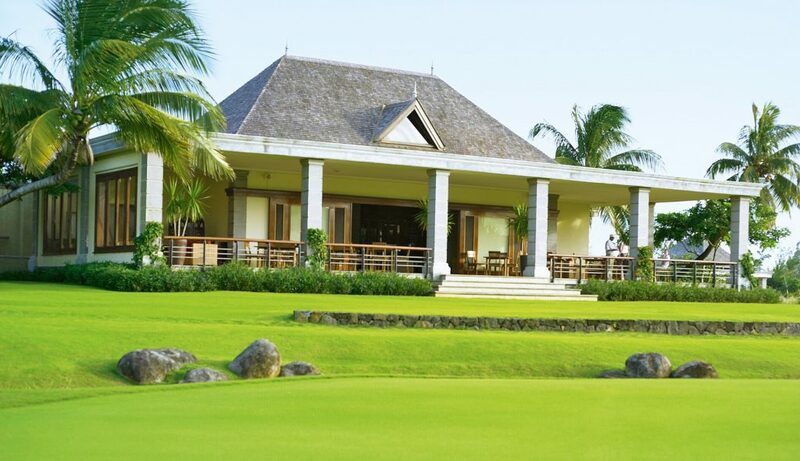 Heritage Golf Club is definitely a must-play while in Mauritius. Voted the best golf course in the Indian Ocean at the World Golf Awards for the last five years running, it also hosts the prestigious AfrAsia Bank Mauritius Open. This championship course combines technical challenges with stunning views of the estate. Its 9-hole course is also set up for footgolf, a combination of football and golf which offers a great way to have fun with family and friends. Two Seven Colours spas boasting an array of indulgent facilities and treatments as well as Wellness Break packages are available throughout the year around Heritage Bel Ombre. Seven Colours is a Mauritian brand offering a holistic approach with a wealth of wellness solutions. The Wellness Breaks include classes and workshops with world-renowned experts sharing their experience. 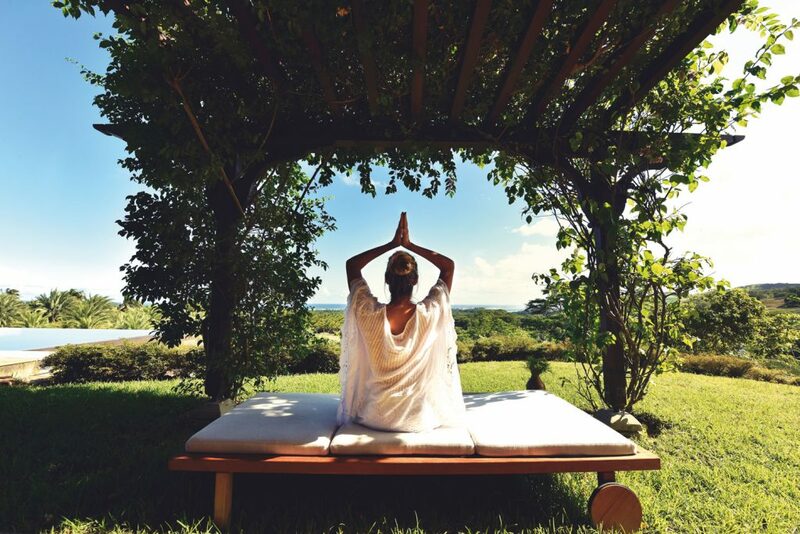 The estate will also host the first Mauritius Wellness Festival from 3 to 5 May 2019. Heritage Bel Ombre is home to a 1,300-hectare nature reserve that is yours to discover as you please. Trekking, quad-biking, buggy rides and 4×4 safaris with a guide from the Mauritian Wildlife Foundation are among the best ways to discover the island’s endemic fauna and flora, with outings lasting between 90 and 120 minutes. A picnic is another option for those who only want to chill and enjoy the natural beauty of the area. The spas also offer wellness activities in the forest. 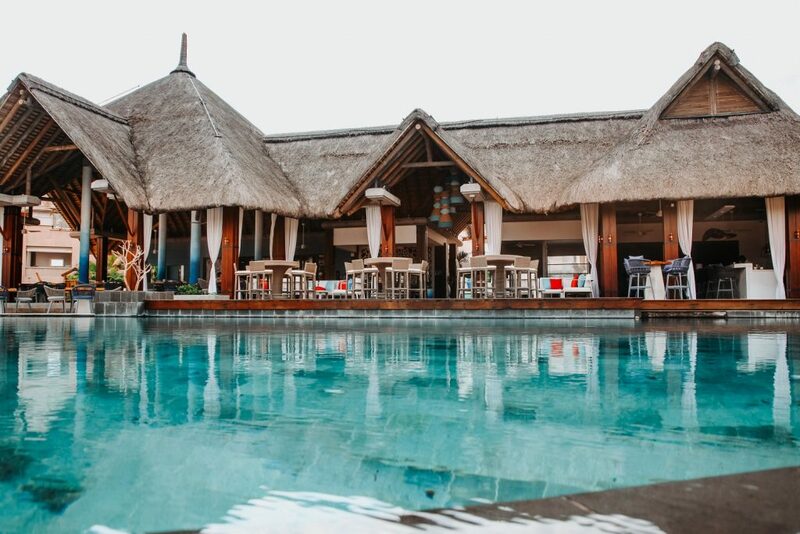 Heritage C Beach Club is the place to be for thrill-seeking water sports enthusiasts – with activities such as kitesurfing, scuba diving, windsurfing and SUP in one of the most beautiful lagoons of Mauritius – as well as those who just want to lounge by the pool and bask in the sun. The club has a well-equipped boathouse and the KiteGlobing School offers kitesurfing lessons as well as a whole range of equipment for rent. For a cool refreshing drink or a bite to eat after playing a round of golf, indulging in a spa treatment, spending time in the wild or at sea, everything you need is on hand at the clubhouse overlooking the golf course or in the relaxed atmosphere of Heritage C Beach Club. The post Four ways to experience the Heritage Bel Ombre vibe appeared first on Live In Mauritius Blog #liveinmauritius. Mauritian law governs inheritance of immovable property in Mauritius. The main provisions of Mauritian inheritance law are embodied in the Mauritian Civil Code, the Successions and Wills Act, the Code of Civil Procedure, and the Non-Citizens (Property Restriction) Act. Private international law (conflict of laws) rules are derived from French case law (prior to European Regulation reforms). Mauritian law systematically governs the inheritance of immovable property situated in Mauritius; however, the inheritance of movable assets is governed by the laws of the last domicile (i.e. country of permanent residence) of the deceased. In certain cases, movable property may be governed by another national law designated by the deceased prior to his/her death, subject to the mandatory public policy provisions of Mauritian law. If real property in Mauritius is acquired through a legal entity, the shares in that entity are deemed to be movable assets in a Mauritian estate and are therefore governed by the domiciliary law of the deceased, unless the transaction was structured for the essential purpose of evading the mandatory statutory provisions of Mauritian inheritance law. Restrictions on inheritance of property in a foreigner’s country of origin are reciprocated in Mauritius i.e. a foreigner may not inherit property in Mauritius unless a Mauritian citizen is legally permitted to inherit property in the deceased’s country of origin. This provision stems from a general principle laid down in Article 13 of the Mauritian Civil Code whereby “a non-citizen shall enjoy the same rights in Mauritius as those which are or may be granted to Mauritian citizens by international conventions entered into with the State of the said non-citizen“. Renvoi is given effect under the principles of Mauritian private international law. If the foreigner’s domiciliary law refers inheritance issues back to Mauritius, then the notary or judge in charge of the execution of the Mauritian estate accepts the renvoi and applies Mauritian law. The procedural aspects of inheritance are dealt with by the Master and Registrar of the Supreme Court of Mauritius (a high-ranking judge). Inheritance cases are heard on the merits before the Supreme Court, either by a Judge in Chambers, or by a Bench comprising one or more judges, depending on the amounts involved. Prohibition under the Non-Citizens (Property Restriction) Act governs the acquisition of real estate in Mauritius. Authorization is required from the Prime Minister’s Office before real property can be purchased by a foreigner in Mauritius. The main derogations are acquisitions by inheritance, or by the effect of marriage (subject to certain provisos), or under the Integrated Resorts (luxury villas) and Real Estate Development schemes. The acquisition of movable assets in Mauritius is not subject to such restrictions. Mauritius is a forced heirship jurisdiction and reserves a portion of the estate for the children of the deceased. This jurisdiction applies equally to Mauritian citizens and foreigners (provided they are entitled to inherit in Mauritius). The reserved portion is divided equally amongst the surviving children and the descendants of any pre-deceased children (i.e. children who die before their parent). The descendants of a pre-deceased child are jointly entitled to the pre-deceased child’s share of the reserved portion. The unreserved or “available portion” of the estate may be freely willed to any other person, including an heir under forced heirship provisions, or any entity, charitable or religious body, whether Mauritian or foreign. The beneficiary under such a will must not be subject to any legal incapacity. The ordinary collateral line up to the 12th degree. In the absence of any protected heirs, the deceased’s estate vests in the Mauritian State. Although the surviving spouse forms part of the first class of legal heirs, he/she is not a protected heir, and his/her share may be bequeathed to another legatee by gift or testament. Notwithstanding the above, the surviving spouse is entitled to a lifetime right of usufruct over the matrimonial home and furniture. It is advisable for a foreigner to draw up a will in Mauritius. A will is not required if the testator’s intention is to bequeath assets equally to his/her legal heirs according to the provisions of the Civil Code; however, a will is essential to favour one or more beneficiaries e.g. if a testator wishes to allocate the available portion preferentially to one child, or if a testator does not have children, and wishes to distribute his/her estate amongst non-preferential heirs, or other legatees, or to a charitable institution. A foreigner is advised to make a local will in Mauritius to avoid cumbersome legalization, registration and cross-border enforcement formalities associated with a foreign will. A Mauritian will must be in writing and may be drawn up either as a private deed or a notarised instrument. A private deed (holographic will) must be written, dated and signed entirely by the testator’s hand on any kind of material. It is usually remitted for safekeeping to a trustworthy person or a notary. When drawn up by and before a notary, the will may be either (i) a public will, which requires the presence of two witnesses and the fulfilment of a number of statutory formalities, or (ii) a “secret will” (testament mystique) which is handed over in a sealed envelope to a notary in the presence of at least six witnesses, subject to the fulfilment of specific formalities. It is advisable to have a public will draw up before a notary in Mauritius. This ensures physical preservation of the document and avoids any subsequent unwarranted litigation regarding the validity of the testament. Property in Mauritius can be given to any person during the lifetime of the owner (subject to exceptions deriving from the application of the donor’s matrimonial regime); however, if the deceased is survived by heirs protected by forced heirship rules, then the donated assets must be pooled back into the estate for the purposes of calculating the reserved and available portions. If the value of the inter vivos gifts exceeds that of the available portion, then the gifts are reduced down to that value, and the excess is allocated to the protected heirs. In the absence of protected heirs, all lifetime gifts remain valid and effective in their entirety. Ownership of matrimonial property is determined by the matrimonial regime governing the spouses. The simplest case is that of spouses, whether Mauritian or foreign, married under Mauritian law. In the absence of an express choice, the statutory joint matrimonial property regime (communauté de biens) applies. Only assets acquired after marriage are owned in common, and assets owned prior to marriage remain the sole property of the relevant spouse. Alternatively, spouses may elect to be governed by the separate matrimonial property regime, or by a prenuptial agreement. If spouses have different nationalities, this is not relevant to inheritance law, but it might become an issue with respect to the spouses’ matrimonial regime. The spouses’ joint matrimonial assets, if any, must be partitioned before the estate of the deceased spouse can be allocated to the protected heirs. Nationality per se is not a criterion for the applicability of a matrimonial regime but can be one of the factors taken into account to determine applicable law where the domiciliary law of a spouse comprises mandatory provisions to that effect. The situation is more complicated if other elements of extraneity are introduced; for example, a French-Mauritian couple could get married in France during a holiday trip, then settle in the UK, and own property both in England and in Mauritius. The overriding principle is that the law of the spouses’ first effective (not temporary) matrimonial domicile is the applicable law. Thus, although both French and Mauritian law provide for the joint matrimonial property regime to apply by default, in the example given here, both spouses are governed by the English regime of separate matrimonial property, because England is the country of their domicile. There are myriad such permutations, and each case must be individually assessed for the purposes of determining applicable law(s). However, as in the case of cross-border inheritance, Mauritian conflict of laws principles are exactly the same as those stemming from French case law (prior to European Regulation reforms). Ownership stems from registered title in the case of immovable property, and from possession in the case of movables. The evidentiary value of the registered title deed is paramount, but it should be noted that if a person is married under the joint matrimonial estate (communauté de biens) regime, any property purchased in the sole name of a spouse nevertheless automatically becomes jointly-owned by both spouses. The English legal system of “equity” forms part of Mauritian law, which also incorporates a Trusts Act. Thus equitable interests (beneficial ownership) are recognised and enforced in Mauritius, provided that the legal owner is registered in the capacity of trustee of the property. Implied equitable interests may also arise, although there is no Mauritian case-law on this subject to date. An estate may validly be vested in whole or part to a minor or other legally incapable person. A parent or court-appointed guardian must administer inherited property in the interests of a child until he/she is of age. In the case of a protected adult, the property is administered by the court-appointed guardian or curator. The post What inheritance laws apply in Mauritius? appeared first on Live In Mauritius Blog #liveinmauritius. 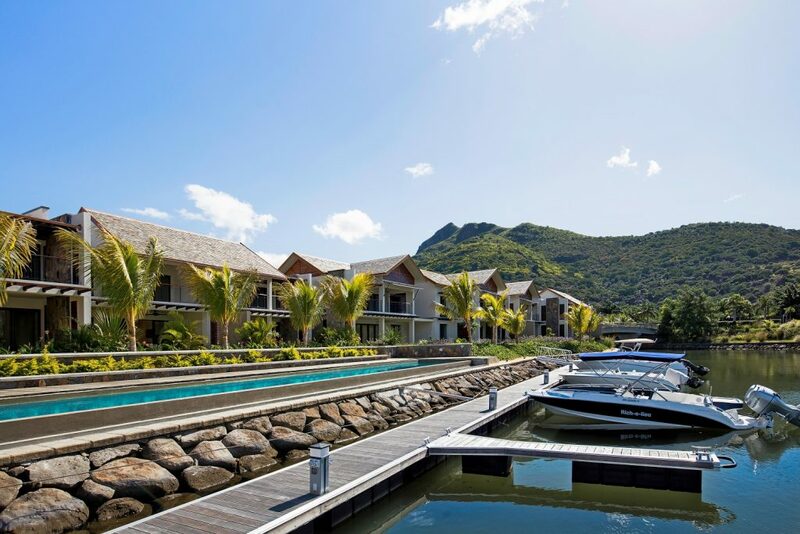 The post Interview with Haydn Porteous, happy owner at La Balise Marina appeared first on Live In Mauritius Blog #liveinmauritius. Beyond its mind-blowing scenery and relaxed atmosphere, Mauritius is a natural haven for healthcare. The idyllic seashores of the island are a tourist asset but also a valuable health-enhancing resource. The sea air is charged with negative ions and has outstanding therapeutic benefits, addressing our deficiencies, boosting our immune system and cleansing our living environment. Mauritius indeed ranks among the best countries in Africa for air quality. 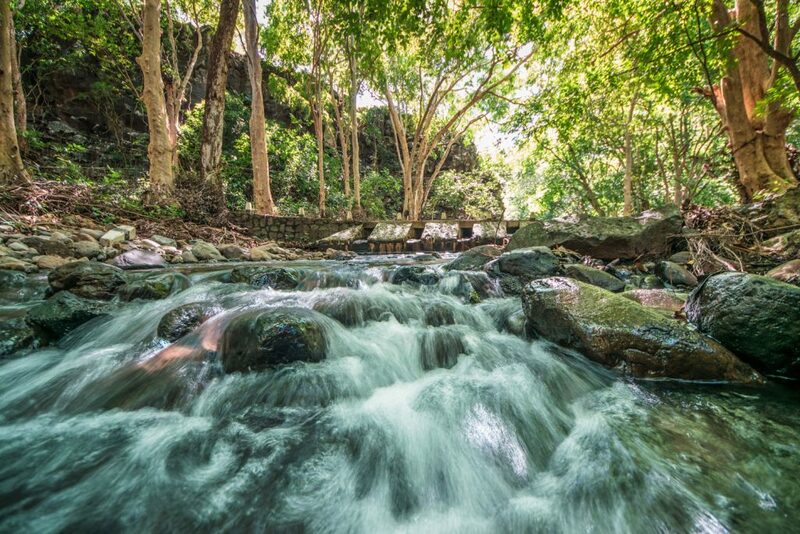 The air in the surroundings of waterfalls and mountains is rich in negative ions which strengthens the body and helps it cope better with urban air pollution. Reason No. 2: Say goodbye to cold winters and low morale! Mauritius has a very mild subtropical climate. With only two seasons (summer and winter), the island experiences very little seasonal temperature fluctuations. The mild winter reduces the risk of developing seasonal affective disorder due to lack of sun exposure, which should not be taken lightly! The country takes health control very seriously both at the port and airport. Efficient health units with high-quality equipment conduct screenings at the airport as well as in the port, depending on the ship’s country of origin. These measures have recently proven to be effective as Mauritius has been able to erode paludism and dengue fever. The country has also won the battle against Chikungunya – all these demonstrate the rigorous health controls in the country. Mauritius also offers a wealth of opportunities for outdoor experiences in nature. Various open-air activities such as golf, sailing,tennis, horse riding, among other, are available close to you all year round. You will no longer need to travel hundreds of miles to breathe some fresh mountain air or let off steam in a pastoral setting. The island has numerous private paying hospitals that provide world-class healthcare services. There are various general private hospitals around the island with a broad array of medical specialists to address the patients’ needs. Other more specialised private hospitals have opened in recent years such as the dental clinic, Dentcare and Dr Awargal’s Eye Hospital, which provides high-quality eye care services in Mauritius. You will find here a list of world-class clinics. Mauritius has now become a key hub in medical tourism when it comes to hair grafting as well as dental or plastic surgery. Over the last few years, health-related tourism has experienced a boost, hence the establishment of an Indian Ocean Centre for Aesthetic Surgery in the North since the early 2000s with a wide range of surgical interventions performed by renowned medical practitioners. It is strongly advised for both Mauritians and expatriates take up a health insurance policy. There are many highly reputed local insurance companies, amongst them are the Swan Insurance and Mauritius Union. Most of the health insurance premium are paid on a monthly basis and medical expenses incurred locally and abroad are covered up to a certain threshold, depending on the type of policy you choose. French nationals contributing to the Fund for French Citizens Abroad (CFE) are also covered for various medical procedures locally and abroad. The country’s medical sector has experienced a tremendous boom. With skilled health personnel from around the world and European-level medical services, Mauritius now positions itself as a place where it feels good to live! The post [PODCAST] 6 reasons why moving to Mauritius will make for a healthier lifestyle appeared first on Live In Mauritius Blog #liveinmauritius. The post The top 6 resto-bars around Black River and the west coast appeared first on Live In Mauritius Blog #liveinmauritius. The post The top 5 resto-bars around Black River and the west coast appeared first on Live In Mauritius Blog #liveinmauritius. 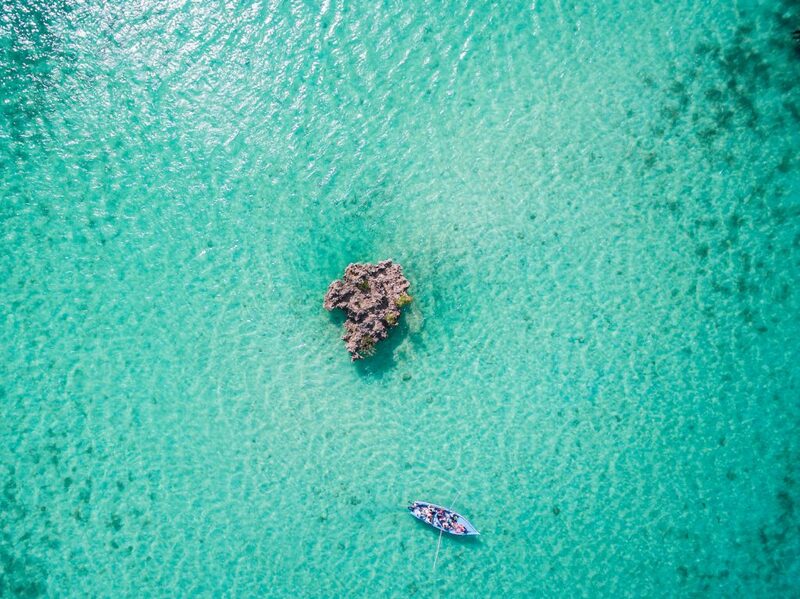 The post Mauritius: a watersport paradise appeared first on Live In Mauritius Blog #liveinmauritius. The post Mauritius Independence Day: history and celebrations Mauritian style appeared first on Live In Mauritius Blog #liveinmauritius. Everyone can walk to Ganga Talao, the sacred crater Lake in Mauritius. Many streets are lined with people offering food and drinks, religious music permeates the air. I was in my car today, slowly moving behind gorgeous kanwars, and a lovely woman came and gave me a ti puri, a deep-fried kind of flatbread with curried Lima beans. She really didn’t have to do this – it was obvious that I was a) not heading to Grand Bassin b) not a pilgrim, and so technically I didn’t need the nutrition. That, of course, isn’t the point: many families have saved up for months and months in order to give so freely. In many respects, this overwhelming kindness is the essence of this week of festivities. Maha Shivaratri (Sanskrit: The Great Night of Shiva) is one of the most important religious festivals of the year – the most important for devotees of the Hindu god. Shiva is one of the main deities of Hinduism, and is represented in multitudinous forms: the cosmic dancer, the ascetic, the master of fertility, master of both poison and medicine (through his ambivalent power over snakes). In temples and private shrines, Shiva is also worshipped in the form of the lingam, a votary object that symbolises the God and is revered as an emblem of generative power. During the festival, Hindus remember and meditate upon Shiva, his ethics and virtues – self-restraint, forgiveness, self-restraint, honesty, social harmony amongst others. Approximately 300,000 to 400,000 pilgrims walk to Ganga Talao every year. Apparently, the lake’s name literally means ‘Lake of Ganga’, where ‘Ganga’ refers to the Ganges river. A legend says that, while Shiva was carrying the river Ganges on his head, he spilled a few drops of the water – and this water created Ganga Talao. At the lake, devotees pay their respects and pour holy water and offerings over shrines. You cannot be indifferent to the kanwars: these are the structures that pilgrims carry to the lake. They are a visual feast, and are sometimes truly spectacular in size and creativity. Once your eyes turn away from the structures to the people holding and carting them along, your admiration turns to awe. To lift kanwars for kilometres at a time, under this tropical sun and hilly terrain – these are feats that are almost surreal. Kanwars are heavy: I’ve seen creative types come up with elephants, serpents (as seen below), Gods spouting fountains from their mouths. The pilgrims walk, sleep on the ground in specially designed shelters, then pick up their kanwars and start again. They reach the sacred lake, pray and give thanks, and then do the same journey all over again to their homes, where they observe a fast and a night vigil. The following day, everyone rests. Indeed Mauritius is a multicultural society where we have different ethnicities live in peace, harmony and stability. Pious Maha Shivaratri to everyone! The post Maha Shivaratri in Mauritius – A festival for all appeared first on Live In Mauritius Blog #liveinmauritius.